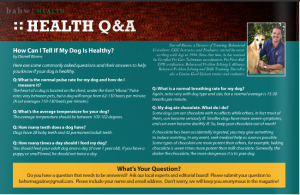 If you regularly pick up The Bay Area Health & Wellness magazine, you are ahead of the game! For those of you who have not yet picked up this months issue, click on the photo above and venture over to page 30! 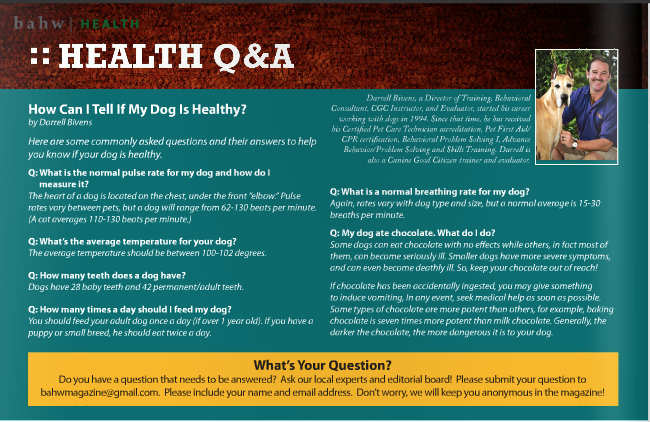 You will find Darrell & The Pet Palace featured in a brief question and answer article related to health and your pet!